Many users wonder if its possible to utilize Justuno's email capturing system and targeting rules without offering a code or discount, the answer is yes of course you can! Here are the steps you can take to make that happen! Create a Locked style promotion, this can be accomplished through a prebuilt promotion or a custom promotion. 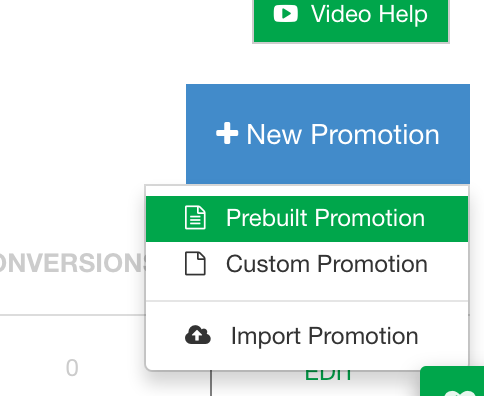 A prebuilt promotion will have all rules set up for you which for our new visitor prebuilt can be helpful, our custom promotions have templates and designs available but do not have full rule set up. Now you have an overlay with no code! Replace the "here is your discount code" text with a simple "thank you for signing up" text. Please note: you MUST have a post engagement screen for the email to be captured. If you do not want a user to have to click on the "x" or "thank you" close button you can use this article for an automatic close feature.